on a magical trip to the stars! Download Sweet Dreams Mo Now! The world’s cutest little monster is back! 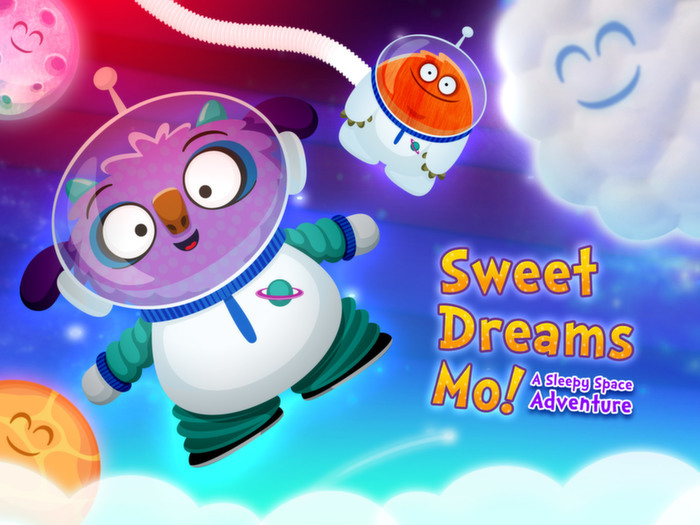 Following the worldwide, award-winning success of ‘Goodnight Mo’ and ‘Wake Up Mo’, StoryToys takes you on a magical trip to the stars in ‘Sweet Dreams Mo’. 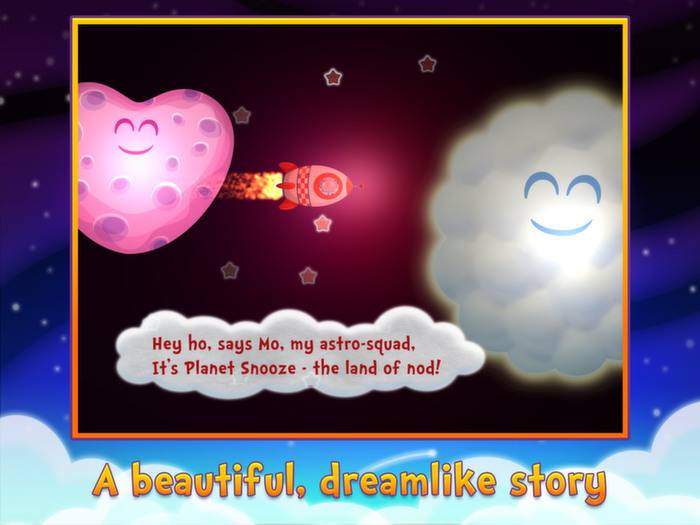 Mo’s sleepy space adventure is a playful reminder that a cuddly friend and a soft pillow are all that’s needed for a good night’s sleep. Designed to help overcome nighttime fears, it sets the perfect bedtime atmosphere with its gently rhyming narration and soothing musical soundtrack. 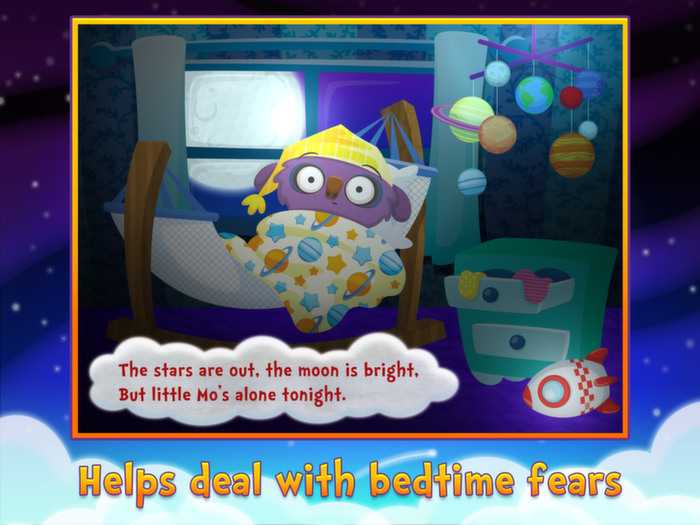 Little Mo can’t get to sleep without Teddy and animal friends, and sets off across the galaxy to find them, passing satellites, planets, and twinkling stars on the way. 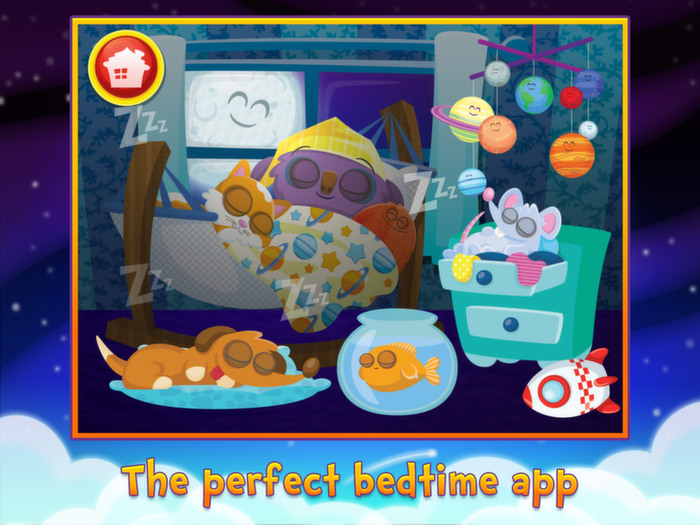 With his bedtime crew assembled, Mo is ready for the final frontier… the land of nod! 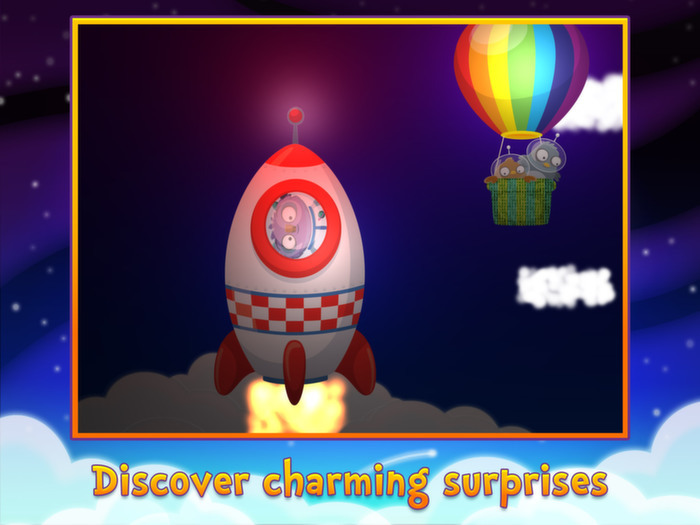 From the moment his rocket blasts off, little ones will discover charming surprises as Mo reaches for the stars: whether meeting flying saucers, exploring mysterious planets or simply bobbing about in space. Sweet Dreams Mo is currently compatible with the iPhone 5S, iPhone 6, iPhone 6 Plus, iPad Mini with Retina and iPad Air.